Framery offers companies phone booths and miniature mobile conference rooms. 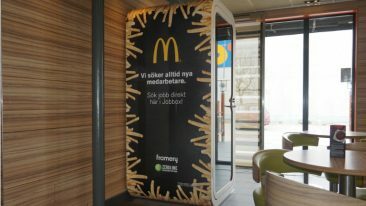 Tampere-based Framery is to provide Twitter’s open plan offices with soundproof phone booths. The newly announced delivery includes all of Twitter’s US offices. The phone booths are manufactured at Framery’s plant in Tampere and are designed to let people working in modern open plan offices focus on their work without distractions. The products are tailored according to Twitter’s wishes. For instance, the booth walls are furnished with the hashtag #callyourmom, and the colours match the Twitter brand. Framery was founded in 2010 and the majority of its sales come from exports to the US and Europe. Most of the company’s American customers are California tech companies.